UPVC Double Glazed Doors Built – Highest Quality. Safety is a major concern for all households around the world. A property’s entrance door is the major factor to take into account when we talk about having a safe and secure home environment. However, this factor is mostly compromised as homeowners give more priority to beauty and elegance than the material being used. Therefore, keeping in mind the need of people for a secure home and stylish doors, door manufacturing companies came up with an innovative idea of glazed doors made with UPVC. 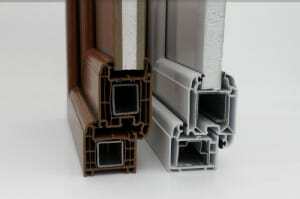 This material not only ensures strength and durability, but also adds beauty to the overall appeal of the home. UPVC double glazed doors are considered to be an excellent way of keeping away the burglars and increasing the overall worth of a house. These doors are made with UPVC, which makes them much more resistant and durable than any other traditional door. Many online retailers these days specialize in manufacturing and installation of UPVC double glazed doors in homes and offices. In this post, we’ll discuss some key advantages of installing UPVC double glazed doors and how they prove to be a better option over traditional ones. UPVC Double Glazed Doors Enhanced security. If you are concerned about the safety and security of your family members and want to sleep peacefully at home, then UPVC double glazed doors should be your first consideration. These doors are designed as per the international design standards and aim to reduce the crime in homes such as theft. Criminals are opportunists and do not think twice before breaking into a house if it is not equipped with proper security equipment. Securing your home with excellent quality of doors and windows will prevent break-ins. These doors have unique lock feature that are indestructible and prevent force entry into the home. UPVC Double Glazed Doors Enhanced Appeal. Double glazed doors are not only known for their security features, but also have the ability to provide stylish and decorative appeal. Due to advancement in technology, you can find a variety of style and designs of doors made keeping in mind the needs and preferences of the customers. This means that if you looking for a door that can go well with the interior theme of your home, you are sure find something that will suit your requirements. You can find any style of composite doors, from modern to contemporary look. UPVC Double Glazed Doors Low Maintenance. Maintenance is a major concern that is associated with doors and windows of the house as maximum effect of climatic conditions have to be bore by them. Maintenance may demand a lot of time and efforts from time to time, such as re-paint, polishing, termites, fungus etc. However, when it comes to UPVC double glazed doors there is no to low maintenance required to ensure longevity. The average life of a glazed door is around 10 years, even if it is not maintained as per the instructions.